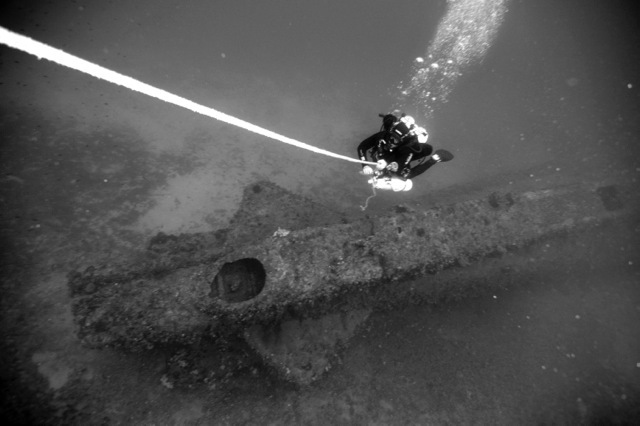 various offers for accompanied Technical Diving. 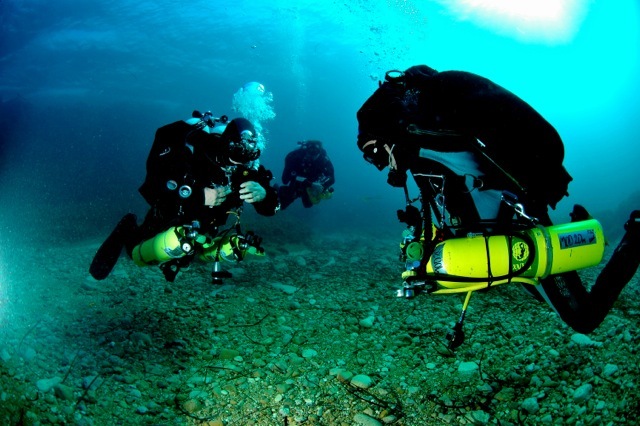 TRIMIX 100 Instructor Level, as well as Cross-overs. Our Tech-Calender can either be accessed from our website ” Special Offers & Calendar” or Facebook. Backplate with Wing (Attention: for the TECH Fundamental Course, a regular wing-jacket is sufficient). The Tec Fundamental Course mediates the basic skills which are relevant for all technical dives. 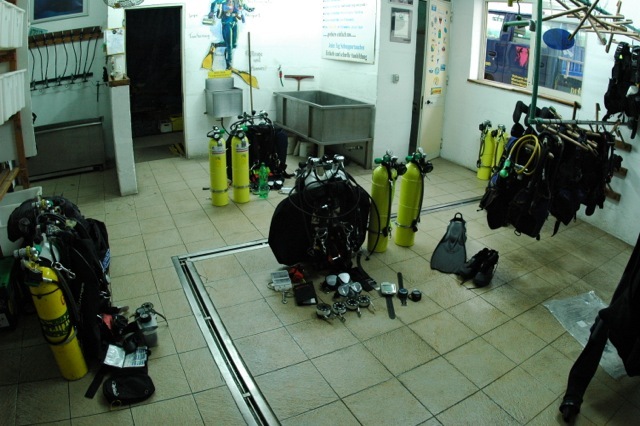 This course is the entrance to technical diving and the precondition for all further courses. Tec Fundamental concentrates mainly on precision of buoyancy/Trim, fining techniques, Team-awareness as well as controlled ascends with the use of a surface marker buoy. A proper equipment configuration also comes to the fore. Minimum AOWD or equivalent, Nitrox Basic, minimum 50 dives. Equipment preconditions in accordance to regulations. 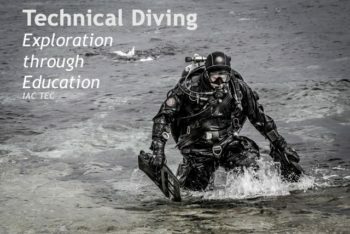 The Tec Advanced course deepens the Tec Fundamental skills, which are essential for safe technical diving. During this course, critical situations – loss of back gas, decompression failures, etc. will be trained and special account will be given to identification and resolution of the problems. During the Tec Advanced, students will learn how to handle a stage and the potential malfunctions related to it. Furthermore, dive profiles with obligatory deco and gas switches (CMAS recommends NX 50 below 21 mtrs ) will be trained. Controlled open water ascends as well as emergency decompression and diving to a runtime, is also part of this course. Minimum Tec Fundamental or equivalent, min. 80 dives. Equipment preconditions in accordance to regulations. Theory: configuration of equipment, stage handling, house routing, dry skills, basics of decompression, deep stops, shallow stops, ascending profiles, gas switching, oxygen window, effects of oxygen and nitrogen (MOD, CNS, OTU, END) , identification and management of problems under water, gas management, failure of gas – deco gas, OOA situations, Team diving (Formations, Awareness, Redundancy of equipment, etc.) Calculations of deco programms, dive planning, gas planning, a run-time/decotable, calculation of Bestix, background of standard gases, emergency management. 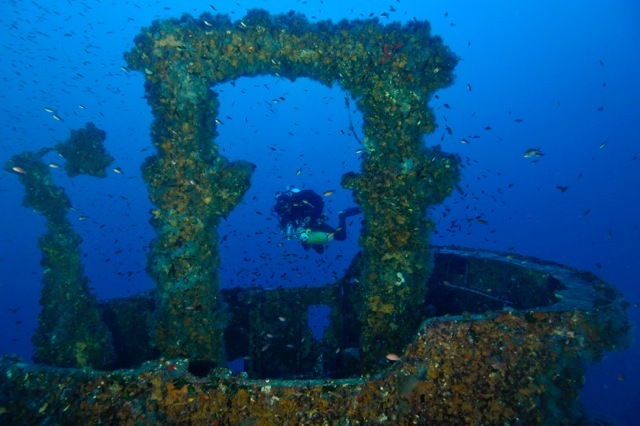 The Trimix-60 course will extend your education with more complex and deeper dives. The student will learn how to carry out demanding and safe decompression dives with 2 stages/ gas-changes and normoxic trimix ( TMX ) as back gas – up to a depth of max. 60 meters. Now, a second decompression gas (CMAS recommends EAN 50 and 100% oxygen) will be used. Next to an advanced theoretical instruction, open-water stress-management, rescue skills and ascends will be trained.